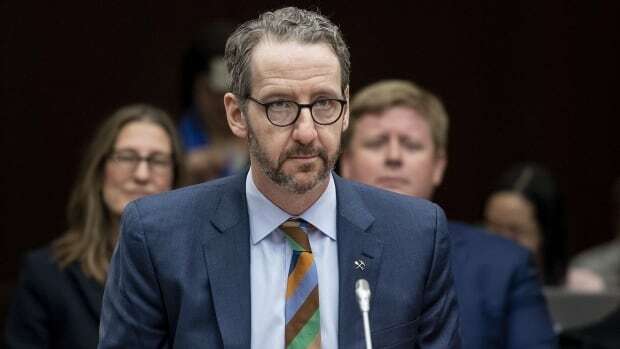 Documents submitted by Gerald Butts, Prime Minister Justin Trudeau's former principal secretary, to the parliamentary committee investigating the SNC-Lavalin affair have been released by the committee. The Commons justice committee has been studying allegations first reported in the Globe and Mail that former justice minister and attorney general Jody Wilson-Raybould faced pressure from the Prime Minister's Office to overturn a decision by the director of public prosecutions to not offer a deferred prosecution agreement to Quebec-based engineering firm SNC-Lavalin. Such an agreement would let the company avoid a punishing criminal trial over bribes paid a decade ago in Libya. Wilson-Raybould quit cabinet on Feb. 12, less than a week after the Globe story appeared and four weeks after she was shuffled out of the justice portfolio to Veterans Affairs. The documents released by the committee include texts Butts exchanged with Wilson-Raybould after a meeting in December, and notes from a meeting between Trudeau, Wilson-Raybould and Butts in January before the shuffle. Butts also told committee members that he had access to the texts and notes because they were obtained by his lawyer for his March 6 appearance before the committee, but they remain in the control of the Prime Minister's Office. In the letter, Butts takes issue with Wilson-Raybould's account of how her former chief of staff, Jessica Prince, characterized her meeting with Butts and his PMO colleague Katie Telford in December — particularly his request to seek independent legal advice on whether SNC-Lavalin should be offered a deferred prosecution agreement. Butts' submission follows explosive documents from Wilson-Raybould released last week that included an audio recording of her phone conversation with Clerk of the Privy Council Michael Wernick. The clerk was not aware he was being recorded. Read the Butts documents below.